Hey guys, I made this main character protagonist for my possible fan game! The hair color changes based on the typing of the starter you choose in the beginning. Feedback appreciated! Working on the female protagonist right now and will post when done. Thank you! 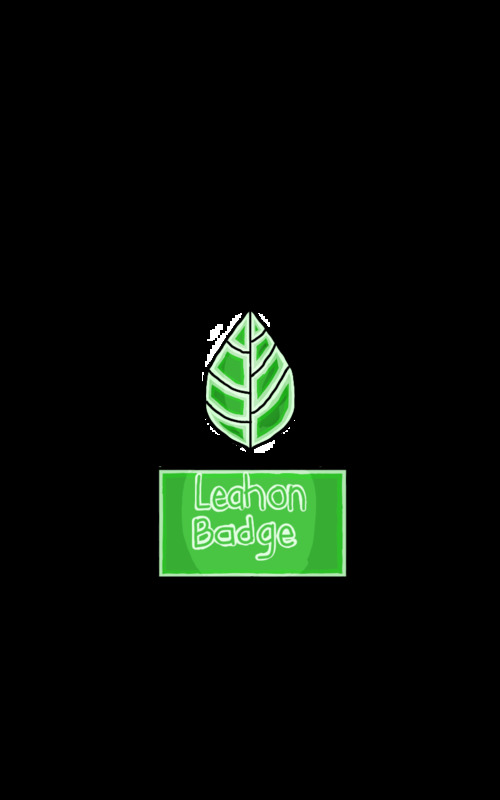 :blush: For the Writing, it'sjust there as a name, its not really included/written on the badge:yum Thanks Anyways. Here are my updated sprites! This badge also looks really good, too. I love the leaf texture - it looks amazing. One thing that I noticed was the black outline on the edges. It's not exactly straight, which isn't the biggest issue, but the badge would look a lot better if the edges were straight. I also find the stalk isn't that detailed either - maybe you could add some more detail to the stalk itself. I think they turned out really nice! (I like how the hair resembles something different depending on the type-green looks like leaves, while orange looks like flames, etc. It's a cool way to bring out the type affiliation!) I'm a little puzzled, though, is the player choosing their starter before they begin to play? Or do they undergo a transformation when they get the starter? I really like this idea and the concept of it. I feel like it is original and will further promote the bond between the protagonist and the starter Pokemon. I'm a bit curious as to who the white protagonist is (possibly Eevee?) I like the shading you've done - it looks really cool. I'm replying to this one, because the Grass Starter is in here. I would recommend checking out other Pokemon that have similar body types to these starters to give you an idea of how you can go about spriting them. 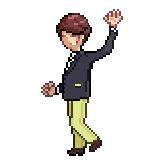 For a beginner, I know it's not ideal, but sometimes splicing existing sprites together can lead to some great results. It'll teach you how to fill in gaps and emulate the canon style of sprites so your sprites flow seamlessly with the canon pokemon you're using in-game. SO I would propose checking out Charmander, Ekans and Psyduck and look at how their body types are sprited and shaded. Now, from a design standpoint, I do think that they could use a few extra details. They're just a monochromatic version of their existing animal counterparts at the moment. I'd suggest thinking of what concepts you want to go with and trying to incorporate a few motifs in the designs that reflect those concepts. 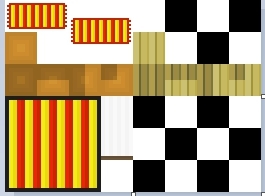 These motifs will help show what type the Fakemon is, as well. Rather than just relying on blue to make your Water Starter look like a water type, you could shape the tail or hair tufts into a water droplet or wave pattern. I'll leave it at that, though, haha. I'm interested to see where you go from here! Those sprites look amazing. 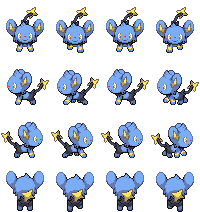 I honestly can't find any flaws whatsoever, one thing I could suggest is to perhaps make Shinx' tail move a bit when in it's walking animation. Aside from that I think they're amazing and very final. I've seen a lot of your work, and I have to say I'm becoming more impressed by the day about your pixelart. Keep it up! Some very beautiful angles for what I'm assuming used no references? I certainly don't see sprites like that very often. I'd be interested what kind of new take on the game you have with art like these. 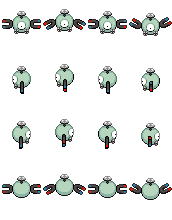 Hey yall, These are the battle sprites for the 1st gym leader and two rivals. They're also the first sprites I've ever made! Im proud, but im no expert(especially of hands) so feedback is appreciated. Heyo my diggity dawgs. I'm pretty new around here, so I thought I'd share one of my animated sprites I made around half a year ago. His name is Urkid btw. Pretty basic but he's a good boy. Also here's one of my more recent sprites of a Cloud Fakemon. I'm pretty happy with how saturated the colors look imo. I don't know why, but imgur is stupid. 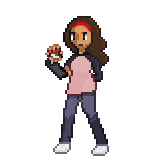 Trying my best at the art that is shading a pokemon trainer sprite. 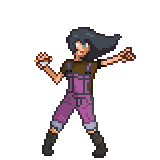 So it's been a bit since I've posted pixel art here. 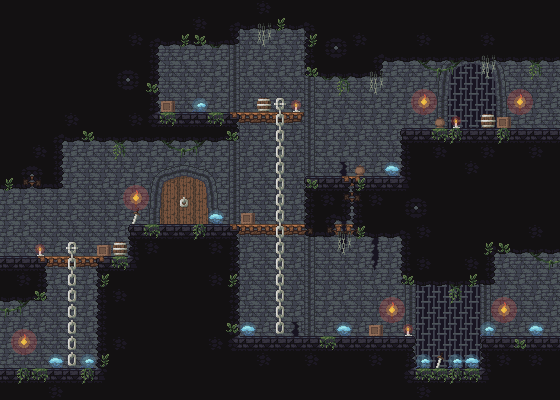 But here I am, postin' some pixel art/mapping, I guess. All the tiles used in this were completely made by me. Critiques encouraged! OK I'm Sorry I Copied Off Of Pokemon Sage I Just Didn't Want To Get embarrassed because i'm terrible at spriting so i'm making every Pokemon from my game starting now i made this fire monkey sprite to show you all how bad I am at spriting so like i said i'm sorry for copying off of Sage... so i cant get the image from my files onto this does anyone know how to? Even if the concept is similar that doesn't entitle you to use their artwork and call it your own though. so i cant get the image from my files onto this does anyone know how to? Upload the image to some sort of image hosting site, and copy the image url into your post.